Could I come to your house confiscate your resources and replace your security (gateman/woman) with mine? Would you be happy with that? 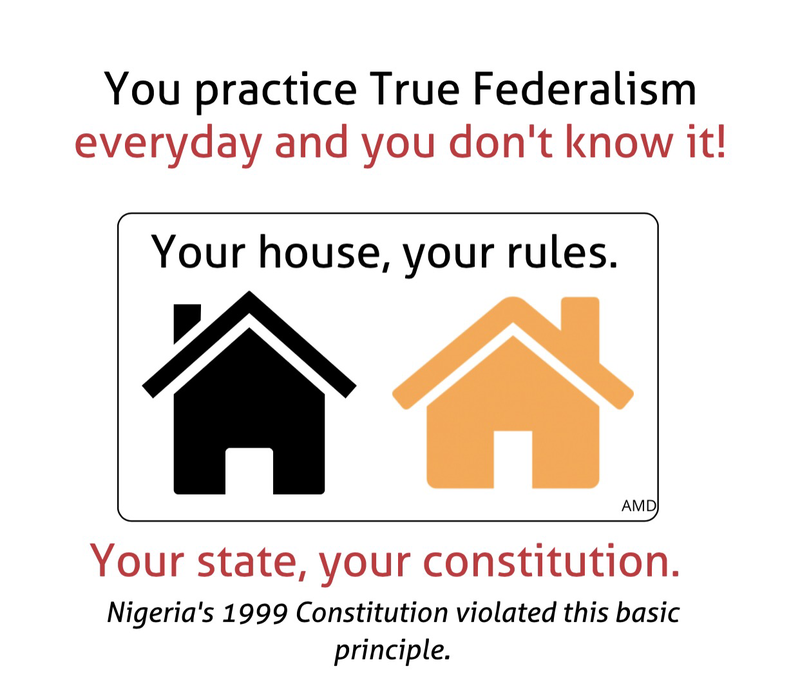 Well, that’s what Nigeria’s constitution is doing to all the states on everything, unfortunately. The solution is to allow residents of each state come up with their own constitution. Why? Because your house, your rules.